“Direction bias” is a term derived by Craig Phillips, who developed the treatment method of “Clinical Pilates” more than 25 years ago, when he created the Dance Medicine Australia (DMA) method of Clinical Pilates courses in Australia. Since that time, over 10,000 physiotherapists have taken the courses worldwide. These courses expand on Joseph Pilates’ original Pilates method by emphasizing the prescription of a specific exercise to match an individual’s direction bias (DB). The assessment of DB occurs through observation of a subject’s movement quality in a three-part battery of standardized dynamic stability tests following the same repeated direction-specific exercises. According to research, the tests are highly reliable,3 allowing for the assessment of DB in the asymptomatic individual, and opening up its use in the athletic population. For more information on the technique of direction bias assessment, I recommend the article by Tulloch and Phillips,4 as well as these DMA Clinical Pilates courses. Pilates, while normally synonymous with rehabilitation, has been utilized in the field of high performance for over a decade, but to date there is only anecdotal evidence supporting its performance benefits. Similarly, although programs at English and Australian institutes of sport have used Clinical Pilates (CP) extensively, there are no long-term quantitative studies published on its benefits. So why the resistance to using Pilates as part of strength programming at the elite level? Furthermore, the focus of controlled movement and breathing in Pilates is often not synonymous with the intensity of effort associated with many athletes’ and coaches’ perceptions of training requirements at the elite level. The traditional belief that you can bulletproof an athlete through resistance training alone is being refuted. Local joint and tissue training strategies are not enough. Coaching methods now view training at the central nervous system level (CNS) as necessary to engage sensorimotor control through neuromodulation and sensory stimulation. DB gym programming prescribes the appropriate exercise to the athlete according to how they respond to repeated movement either towards or against their individual DB, using heavy resistance exercise. Athletic training is the study of stimulus and outcome, where CNS regulates the outcome. While there are examples of the over-riding effect of descending cortical input on movement patterns, the CNS will primarily try to keep the host free from harm, particularly when loading. One of my favorite quotes is: “The body is only as strong as it feels safe,” by Perry Nickelston. If the CNS determines that there is a potential threat to itself, it will restrict and/or alter movement patterns. Image 1: Inappropriate exercise selection is harder for the athlete than correct exercise selection, and it looks bad. Is it a protective mechanism? Regardless of the conscious cueing and training involved, some movement patterns will either not improve or will deteriorate, particularly under load. Inappropriate exercise selection has shown that regardless of the conscious cueing and training involved, some movement patterns will either not improve or will deteriorate, particularly under load. Conversely, with minimal coaching, the correct exercise selection can repeatedly demonstrate improved movement patterns that immediately carry over to other functional tests. The answer to this phenomenon lies in the hypothesized mechanism for the DB effect. Theoretically, the CPG consists of two sections, the rhythm generator (RG) network and the pattern formation (PF) network, before providing excitation of multiple synergistic motor neuron pools responsible for different phases of movement. Each of these levels is subject to afferent feedback that can alter the level of motor neuron activation, timing of the phase transitions, and/or frequency of the impulse. Potentially, DB exercise acts to negate the modulating effect of the pathology through its preferential stimulus to either the inhibited flexor or extensor pattern, providing positive afferent stimuli to restore the original CPG. Furthermore, spinal position can facilitate and inhibit CPGs,8 suggesting that exercises moving into extension will preferentially excite the extensor pattern at CPG level. Clinically, this is supported by the immediate effect of DB exercise intervention seen on brainstem-injured patients, where extension exercises tend to improve patients with acute brain injury, overriding the frequently observed flexor spasticity pattern. So how do we know which exercise has which Direction Bias? The predominant movement at the lumbo-pelvic-hip complex. Counter torque required against COG. However, due to the complex multi-segment movement of many resistance exercises, classification is far from simple. A research study proposed for 2018 will compare the acute effects on dynamic stability and athletic performance of four common heavy resistance exercises: the dead lift, back squat, front squat, and recline leg press. So far, case series data has been collected across seven athletes. The objective measure was the flight time/contact time ratio for the athlete over five repeated vertical hops when told to jump as high as they could with minimal contact time on the ground. Figure 3: The graphed data from Athletes A-G. The objective measure was the flight time/contact time ratio for the athlete over five repeated vertical hops when told to jump as high as they could with minimal contact time on the ground. Figure 4: Athletes A-G were each tested for their Direction Bias via matched Pilates (MP) and un-matched Pilates (UMP) exercises. Below is the redrawn graph showing the results for each athlete’s performance respective to whether the resistance exercise was “matched” (MR) or “unmatched” (UMR) according to their direction bias and the bias ascribed above. Figure 5: Figure 4 redrawn for Athletes A-G, showing the results for each athlete’s performance respective to whether the resistance exercise was “matched” (MR) or “unmatched” (UMR) according to their direction bias and the bias ascribed above. This preliminary case series supports the hypothesis that resistance gym exercises with a DB can behave in a similar way to low-load Clinical Pilates exercises. One of the athletes in this analysis did not respond in a predictive manner like the others. Follow-up testing revealed that this athlete had a “lateral bias,” meaning he did not respond to flexion or extension movement like the other athletes, but responded better to a lateral movement. As the gym exercises chosen were bilateral frontal plane in nature, there was minimal response to the stimulus of the “lateral” athlete. This needs to be a consideration in DB exercise prescription and it warrants further study. Obviously, there are many more exercises than these four that make up a program, and many more will require further classification to become a useful tool for both clinical and performance parameter decision-making in the gym. However, using the three questions outlined earlier on how to theoretically classify the DB of an exercise, we can provide an “educated guess” on the classification of certain exercises. The study consisted of 43 athletes allocated to either a DB group (n=25) or a “mixed” (non-DB) group (n=18). DB group athletes received a program that consisted of bias exercises “matched” to their individually assessed DB (e.g., athletes assessed as having a flexion DB participated in the Flexion Bias program). Of the 25 athletes, there were eight with flexion bias and 17 with extension. Mixed Bias program athletes participated in a mixture of both DB programs, which acted as a control for this study. Table 1. In the study, 43 athletes participated in bias exercises based on their individually assessed DB. These 16 exercises were theoretically classified as either flexion or extension per this list. Athletes performed a total of 20 sessions of this program over eight weeks, with testing at four and eight weeks. The following results outline the percentage change from baseline after eight weeks of intervention. In summary, the DB group responded better across all measures compared to the control standard intervention. In particular, repeated vertical hopping and agility testing between groups saw statistically significant effects. Though not significant, 20m sprint times reported similar results to Brown et al.,10 following unilateral direction-specific (posterior chain) focused exercise protocol where there was no control group. Practitioners familiar with DB are aware of the higher concentration of flexion-biased athletes at the elite level compared to the sedentary population, as well as the difficulty in prescribing loaded exercise to a subgroup that traditionally resists compression/extension. Unfortunately, due to the paucity of research in DB, this is not well-known across the worldwide high-performance population. I am sure many of you reading this are thinking, “Yep, I know athletes like that.” These are typically “flexion-biased athletes,” and I think traditional compressive resistance exercises are prone to endanger this group. Post-hoc analysis of the above study revealed the following startling chart. Figure 6: This chart shows the Flexion DB group (green), the Extension DB group (blue), the Flexion control group (beige), and the Extension control group (purple) for the repeated six vertical hop tests. With implementation of the DB program, extension-biased athletes improve significantly and flexion athletes improve off the scale. In this chart, the green line represents the Flexion group of the DB group, the blue line the extension DB group, the beige line the Flexion Control group, and the purple line is the Extension control group for the repeated six vertical hop tests. The summary of this data is highly suggestive that traditional programming does not account for DB (control group) for vertical hop performance. It can be shown to be detrimental for flexion-biased athletes, and is equivocal for extension. However, with implementation of the DB program, extension-biased athletes improve significantly and flexion athletes improve off the scale! This sub-group of athletes will be the subject of further research due to their natural performance attributes—and, hence, value to the team—as well as their history of predisposition to injury. It’s certainly something worth investigating for your athletes. Does This Mean We Only Focus on the Flexion-Biased Athletes? There are certainly a sub-group of athletes that respond better to DB exercises than others. I often refer to these as the “Responders.” These are the ones that demonstrate a large performance improvement after a matched exercise but, conversely, a large degradation in performance with an unmatched DB exercise. As a result, care needs to be taken with their programming. As outlined above, flexion athletes often fall into this category, as do the acutely injured. Those that respond least tend to be more robust and can tolerate exercises across both flexion and extension movement planes—we refer to these as the “Robust.” These athletes will still have a DB of some degree that is potentially worth considering at least for heavy loads, new techniques, or the novice lifter. Raysmith and Drew found that if an athlete can complete more than 80% of planned training sessions, there is a 700% increased likelihood of them reaching their performance goals.11 Therefore, performance improvements may be associated with DB gym programming because of the potential to protect the athlete by restricting possibly injurious exercises. As with everything, there is a spectrum at play here, and the point at which the coaching team decides that an athlete’s classification should be a “Robust” versus a “Responder” is an area that requires more research. The net worth of a “Robust” athlete on the far end of that spectrum, undertaking a DB program compared to a compound multi-plane movement focus, is likely low. Suffice to say that this emerging area of performance training will highlight the need for communication between performance staff and physiotherapists trained in DB assessment. The long-term goal of the coaching team, in addition to performance enhancement, is injury prevention. It is well-recognized that the team that keeps its best players on the field for longer has the greatest success.12 DB programming has the potential to identify and turn a “Responder” into a “Robust” through exercises prescribed to facilitate the CNS’s control. As the athlete progresses, measuring their tolerance to loading into their “opposite” DB (through un-matched exercises) compared to their matched exercise response will generate a picture as to their current training state. 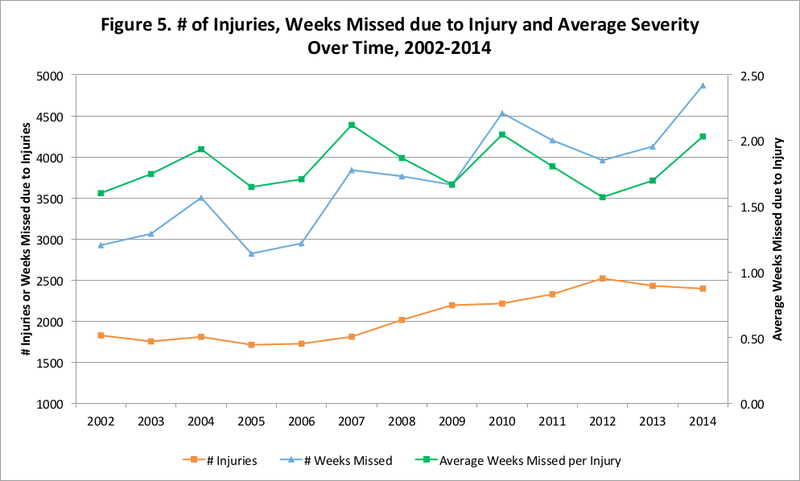 There is a planned 12-month follow-up study of injury incidence for the athletes in the pilot study. DB programming is the evolution of the validated concept of Direction Preference, which has demonstrated that repeated movement in an individual’s preferred movement pattern yields improved function. Preliminary studies show that certain heavy resistance exercises, when matched to the individual, can lead to an acute performance effect, and when not matched, a degradation. By incorporating these “matched” exercises into a specific program for the athlete, there were significant improvements over traditional “mixed” programming in single leg power and agility testing. Further analysis demonstrated that certain subgroups may be more susceptible to DB than others, highlighting the need for their early identification by performance staff, as acute exercise selection may lead to potential performance gains, as well as improvement through reduced risk of injury. DB programming has great potential in the field of high performance sport, but more research is necessary for its validation and widespread use. Tulloch, Phillips et al. (2012). Leslie (2014) Unpublished – Presented at the Australian DMA Clinical Pilates Summit, September 2014. Turner (2014) Unpublished – Presented at the Australian DMA Clinical Pilates Summit, September 2014. Calancie B, Needham-Shropshire B, Jacobs P, Willer K, Zych G, Green BA (1994). Involuntary stepping after chronic spinal cord injury. Evidence for a central rhythm generator for locomotion in man. Brain 117(Pt 5):1143–1159. Drew, Raysmith, and Charlton (2016). Sam Leslie has been practicing for over 20 years and working with elite sport for the past 15. His experience extends from AFL to cycling to soccer to athletics, and more. Sam is Head Sports Physiotherapist of the Athletics Victoria and, more recently, Director of Medical Services for the Nitro Athletics. He has been Head Physio for the Australian team at the past three World Universiade Games, and lectures on DMA Clinical Pilates courses, and serves as a Strength Training Consultant to many of Australia’s best coaches and personally to over 20 of Australia’s best athletes. His practice, MyPhysio Evolution, is regarded as one of the most progressive practices in the world, nurturing the concept that weak links in a kinetic chain, when corrected, not only reduce injury risk but lead to performance benefits. This is the basis of his current research at the University of Melbourne, introducing the concept of Direction Biased Resistance Training.